I am still reading Louse Penny's Inspector Gamache series. 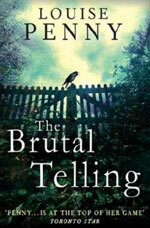 I started last week and am now starting the fifth in the series, The Brutal Telling. I am really enjoying them. But I keep having to take breaks to look up poetry, some by real people and some not. My John Donne knowledge is getting a workout too. I would love to be a parent like Inspector Gamache who takes his kids for walks and spouts famous poetry. I have to memorize some first! 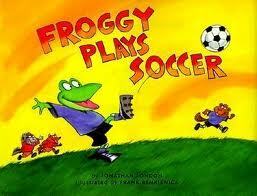 Spinky is trying hard to read Froggy Plays Soccer. It's a little above his level and has made-up words which is hard. But he likes to chant "Head it, knee it, but don't use your hands!" Domba chants along with him. 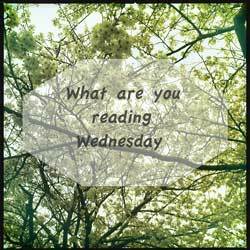 What are you reading in your neck of the woods? Breaking to look up poetry? I'm intrigued. Wow! Thank you for the inspiring post about those books. I'm currently reading Catching Fire, the second part of The Hunger Games novel. I bought this book in a discounted price so I'm really happy. I've even wrote a review in my blog about it. Lately, I've written about stylish wedges, my fashion style accessories. I love reading poems too! Yay, I've finally moved on from Les Miserables. New books I've started: Susanna Moodie's "Roughing it in the Bush" and Edith Iglauer's "Denison's Ice Roads."